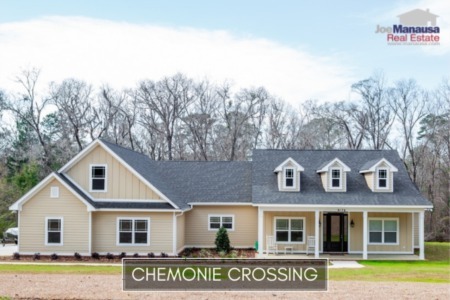 If you are in the market to buy a large home on a nice acreage parcel, then Chemonie Crossing should be on your shopping list. Located just beyond Proctor Road when you drive out Centerville Road, Chemonie Crossing homeowners enjoy being close to town with the benefits of privacy and seclusion. It is important to note that the narrative contained below is for sales through December for all previous years, but through the first week in July in 2018. The graphs and the closed sales table will be continuously updated into the future (meaning bookmark this page if you always want to know the current status of homes in Chemonie Crossing). The average price of a home sold in Chemonie Crossing has come down to $352K, but this should not be a concern for most homeowners here. Due to the relatively few number of homes sold in Chemonie Crossing each year, we see large fluctuations in the average price. Home sales activity in Chemonie Crossing is very good for homes priced below $500,000, and those homes are selling fast. But we're not seeing much from buyers above this point. Currently, there are two homes for sale in Chemonie Crossing and neither is under contract. 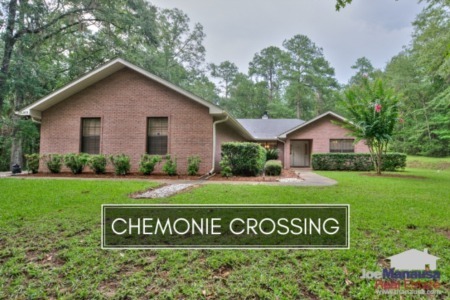 Like most other neighborhoods in NE Tallahassee, home values are rising in Chemonie Crossing (values are up more than 4% in 2018). Through the first week in July, the average value of a home sold in Chemonie Crossing has been $148 per square foot. The average home size sold in Chemonie Crossing typically falls in a range of 2,000 to 3,100 square feet, and 2018 is no different. The 3 home sales thus far in 2018 have averaged 2,411 square feet. 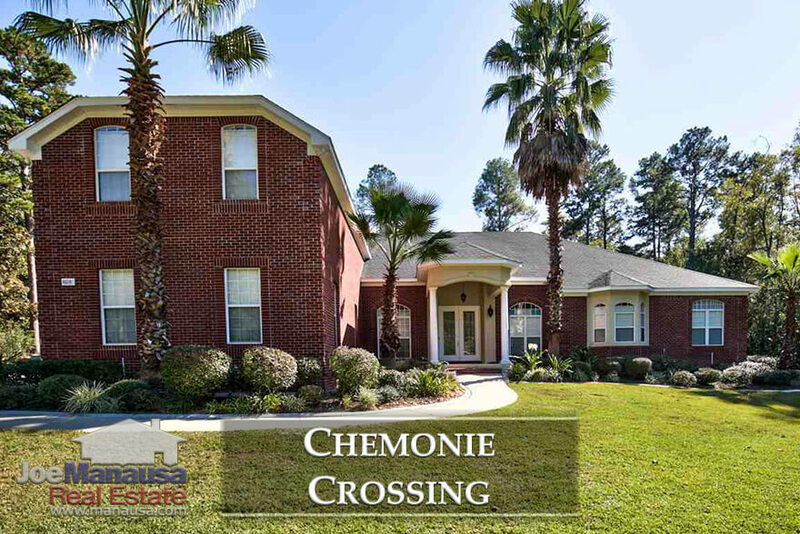 This concludes our July 2018 update on home sales in Chemonie Crossing, please give us a call at (850) 366-8917 or drop us a note if you have questions about this popular neighborhood in NE Tallahassee. 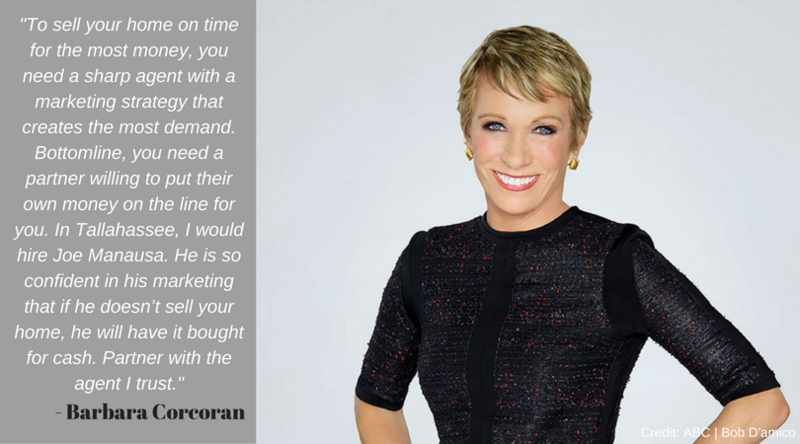 If you want the best service, you should work with the Realtor past clients recommend most often. Here's what thousands of people are saying about working with Joe Manausa Real Estate, you can see their reviews reported on Google, Facebook and Zillow right here: http://www.manausa.com/testimonials.